The Santorini route is very varied and takes us along 10 of the most beautiful islands of the Cyclades and Dodecanese. We sail on average 20 miles a day and ensured that this itinerary also allows a few resting days on which we can explore Santorini. Upon arrival meet your fellow sailors and the crew, the huts are being distributed and you get your first explanation about the ins and outs on board. The rest of the day you can enjoy the beach or explore Kos town. After a breakfast in the marina we get ready to leave the port. Once we have left and are on our way you receive your first sailing instructions. At the end of this day we moor in the bay of Palionnisos on Kalymnos and are picked up by a boat for a short walk to a taverna high on the rocks with a beautiful view over the bay. A spectacular sailing day to the “almost” uninhabited island of Levita. We drop the right in front of the beach in the bay. The island is only inhabited by the lighthouse keeper Giorgos. If the wind is favorable we arrive there at a reasonable time, which will give us the chance to enjoy the crystal clear water, whilst snorkeling and swimming. An exciting sailing day towards Amorgos. Along the steep cliffs, which seem to rise vertically from the sea, we sail to the lively little harbor of Aiyiali. From here we can make a trip by bus or moped to Chora, a village high in the mountain. Day 6: A lazy day today, only 18 miles to Katapola on Amorgos. From where we can take trip with the moped to the famous and breathtaking Hozoviotissa monastery. Day 6:Sailing half wind to Iraklia, where we anchor in the southern bay of Alimia. We cook on board and enjoy a wonderful evening under the beautiful starry sky. Day 7: Today takes us to Ios, know for its beautiful beaches and buzzling nightlife. Day 8: A long sailing trip to Santorini. We sail straight through the deep crater lake to the south side of the island where we moor in the marina of Vlichada. 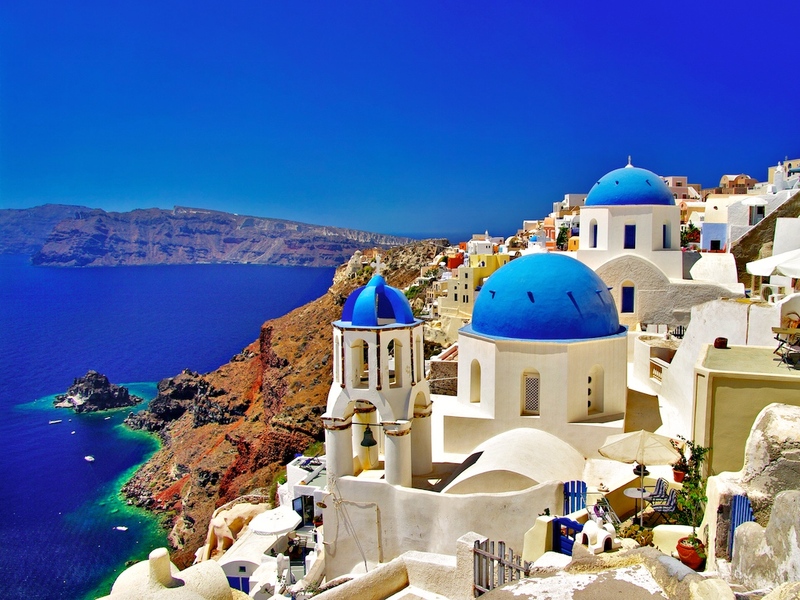 Day and 10: We discover Santorini these days and will get the chance to enjoy the most stunning sunsets, this Island is so famous for. Day 11: With the wind in the back we sail to Astypalaia, but first we make a nice swim stop on the almost deserted island of Anafi. Sofi is already waiting for us on the beach. She runs a small taverna on the beach in the shade. Day 12: A long sailing trip to the volcano island of Nisyros where we still have time to visit the still sizzling craters of the volcano. Day 13: From Nisyros we set sail for Kos and make another swim stop at the “therma”, the hot springs. We will return to our home base in Kos Marina and prepare for a last night in this bustling city. Day 14: This is the transfer day. You go home with lots of beautiful memories and new friends.